One of the six largest Roman amphitheaters makes its home in Istria's largest city, Pula. 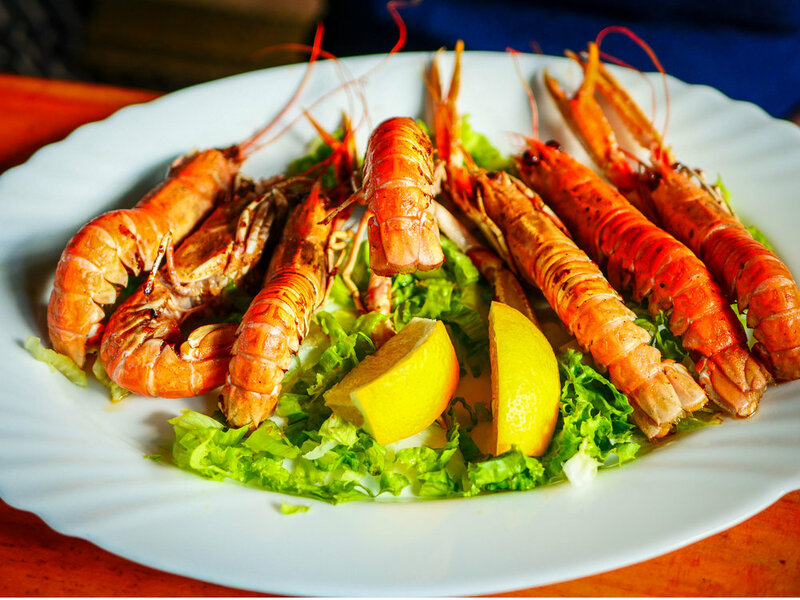 Pula is a great way to begin or finish a trip to the Istrian peninsula. The amphitheater is still used today for outdoor performances. The arena is not the only ancient ruin in the city; there's also the Temple of Augustus and the Arch of Sergeii. Though if I were Emperor Augustus I would feel like Pula wasn't putting enough effort into praising my greatness. Imagine a medieval hilltop village towering above the verdant valleys below, much like the cover of a 1970s fantasy novel. This is the impression Motovun has when you make the turn down the highway and it looms there in the distance. 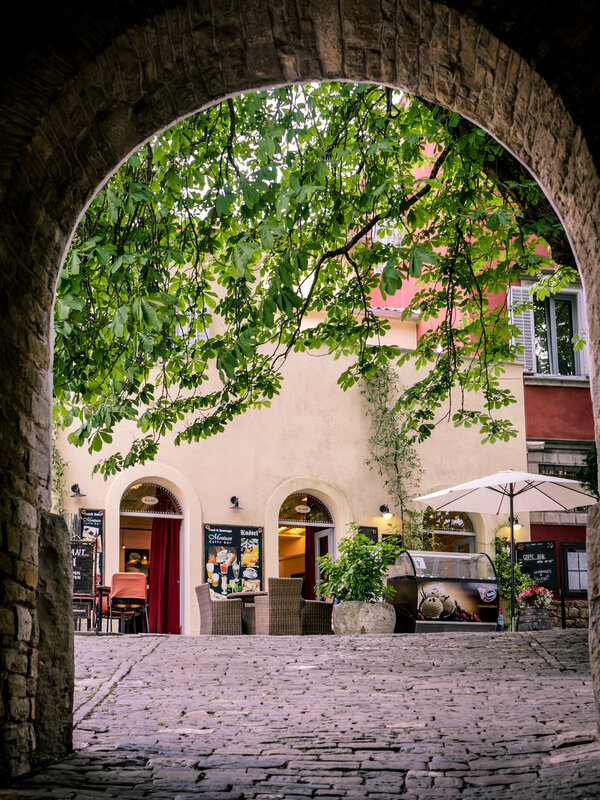 As you walk through the winding cobblestone alleyways (beware this phrase will pop up a lot in this post), you will see store after store advertising truffles, olive oil, wine and rakija. Nowhere else in the world are you going to find better quality truffles in such abundance as you will in Istria and Motovun is the center of truffles. The amount of truffles on this is bordering on excessive...excessively delicious. What do you do in Motovun? 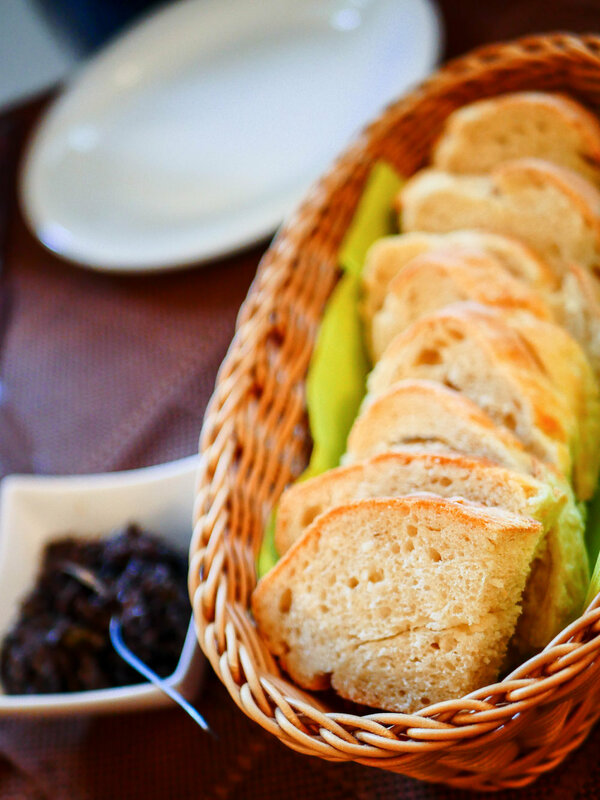 You wander through shops, sampling various truffle products such as the syrupy pungent balsamic and truffle vinegar or the local truffle sheep cheese. Or try the bracing and Pinesol-like mistletoe rakija. Sip your capuccino in the shadow of a medieval stone building while looking out over the beautiful green sides. Another medieval mountaintop village, Groznjan is Croatia's largest artist colony. 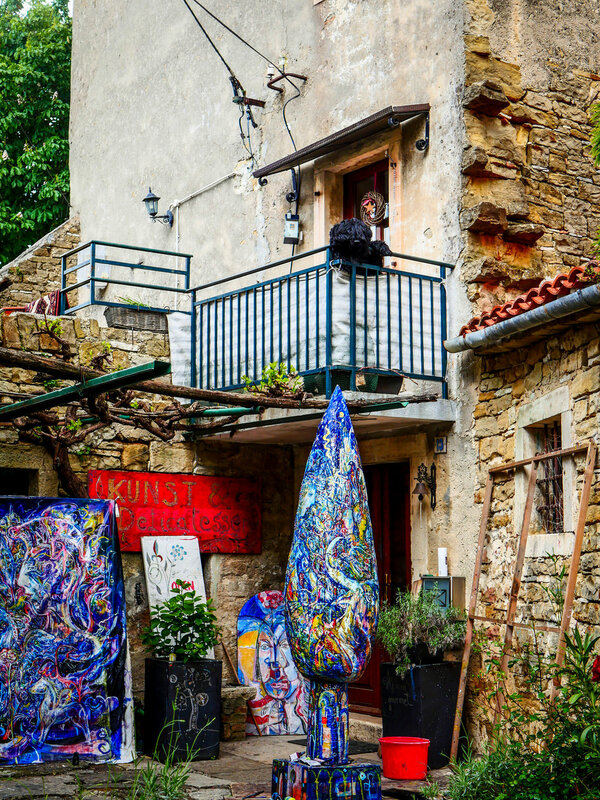 Each stone building hosts a different artist creating and selling their wares from hand dyed silk scarves to pottery. 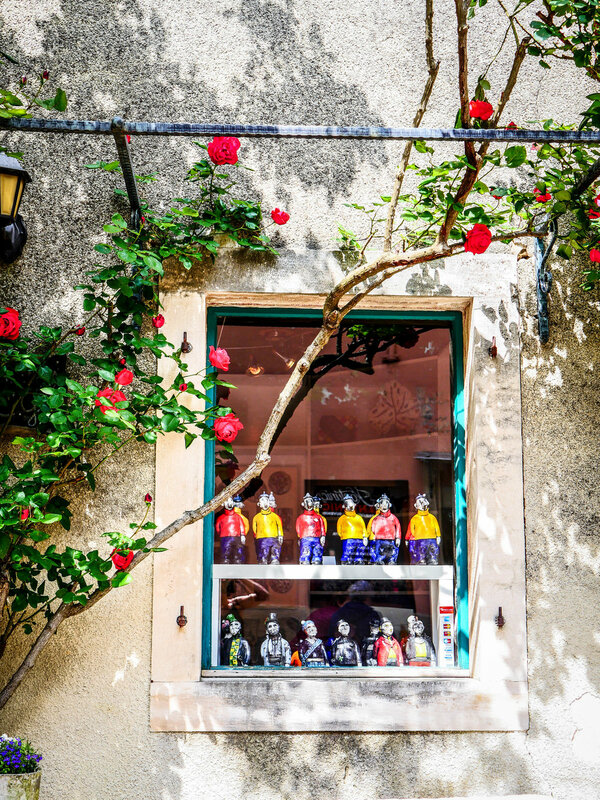 Not only does Groznjan sell beautiful wares but the town itself shines with creativity under each brightly painted set of shutters is a flower box or whimsical statue of a goat. Explore the shops and purchase some gifts to bring back to your loved ones; these will not be your typical tourist trinkets. 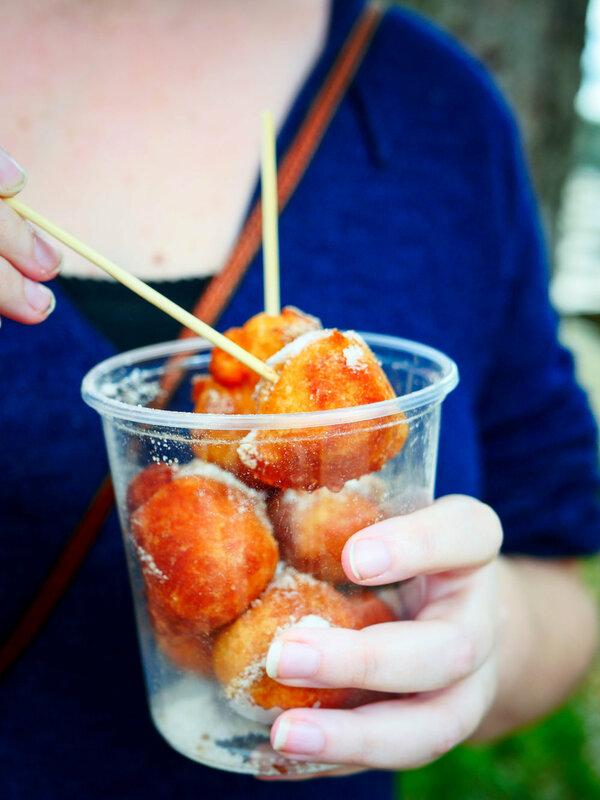 After you've finished shopping or taking pictures of insanely quaint windows, you can finish your trip to Groznjan with a cup of fresh Croatian donut holes found at a kiosk on the edge of town. One city on the Istrian coast that should not be skipped is Porec. 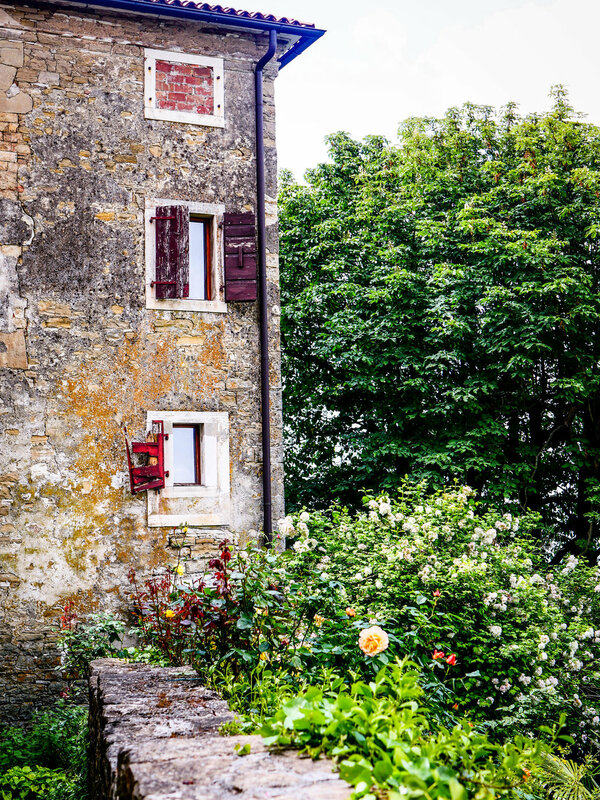 While on the whole not any more picturesque than say Umag, which I found to be so lackluster that it does get a section devoted to it in this post, Porec is home to the UNESCO World Heritage Site, the Euphrasian Basilica. Floor mosaics from the 4th century are preserved in the 6th-century basilica. The basilica is the earliest example of a triple-apsed church in Western Europe. The 16th-century belltower affords excellent views of the city if you're willing to walk up the six flights of stairs. 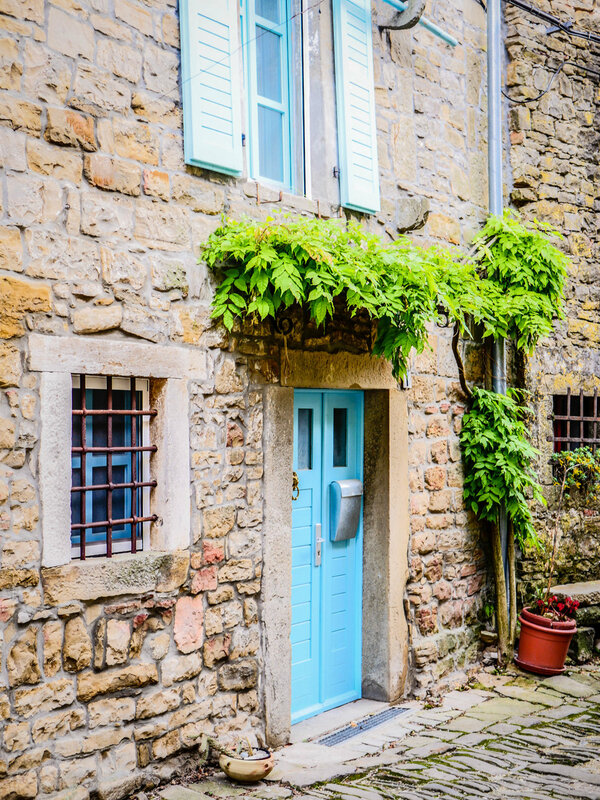 Rovinj melds together the best of Istria's interior hillsides and the crystal clear water of its coast. Perched on the coast atop a series of hills is Rovinj's old town. 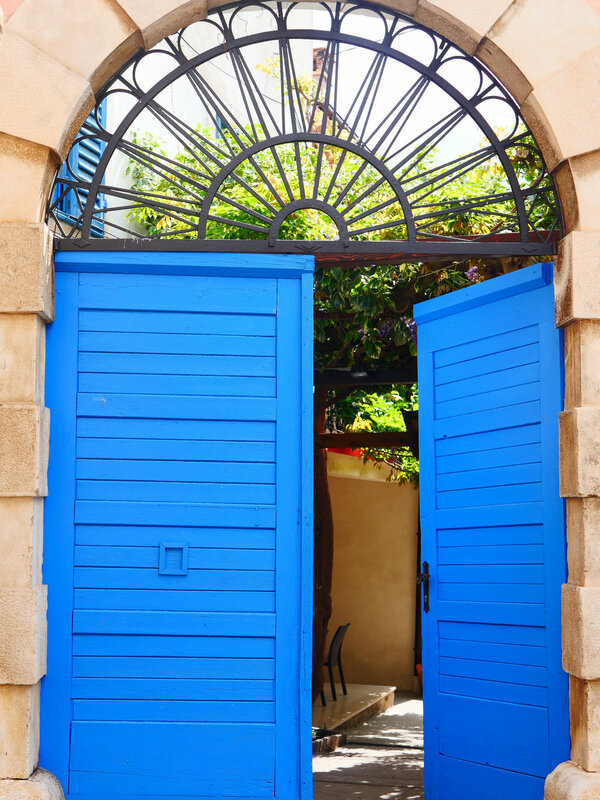 It is a labyrinth of narrow alleys and colorful doors. 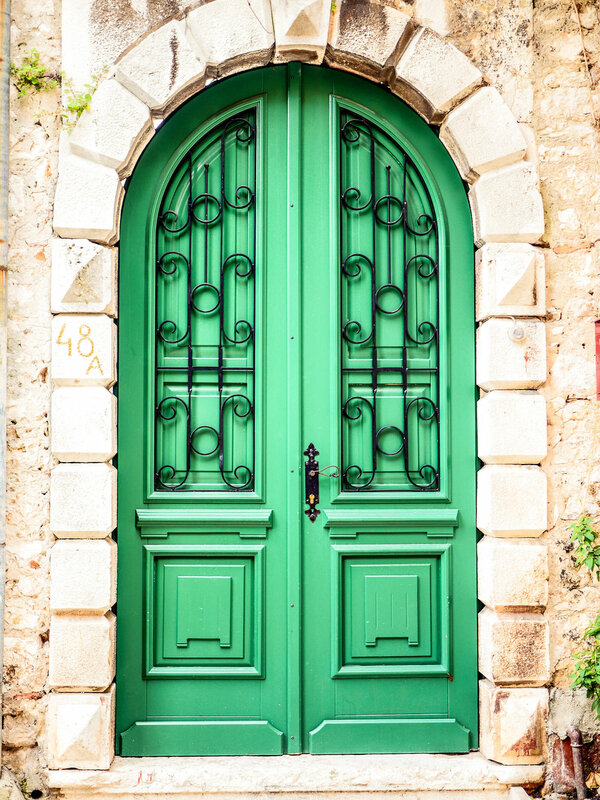 While colorful doors and windows are to be found everywhere in Istria, Rovinj has some of the best. Walk around the edge of old town to a set of stairs. The stairs take you out to the rocky coast and a grotto where you can sit and watch the waves roll in. Down the road from Labin, another coastal hillside village, is Rabac. Rabac is a great place to enjoy the unbelievably blue waters of the Adriatic and white pebble beaches. Rabac is a jumping off point for exploring the art galleries of Labin or the blue caves of Cres Island. 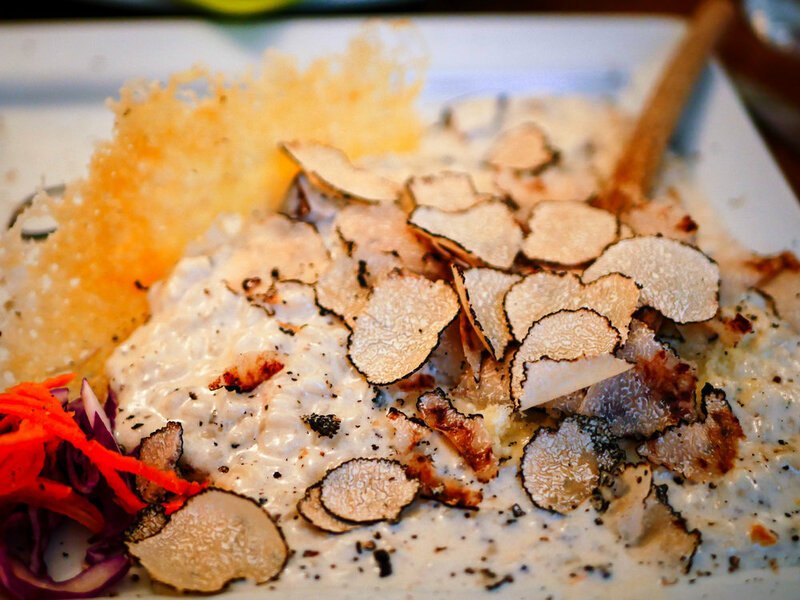 A trip to Istria without dining at the truffle extravaganza Mondo Konoba. Truffles are the center of food here, dug up fresh and early in the morning. 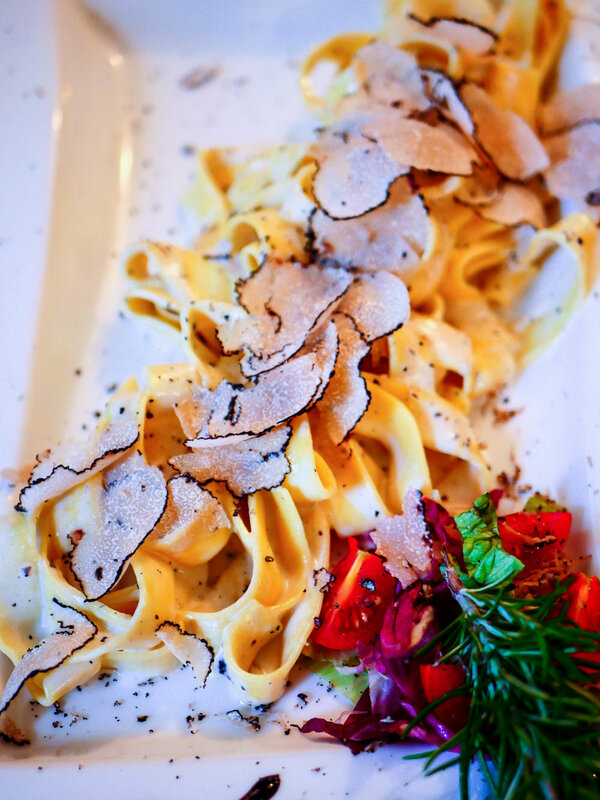 The chef piles black truffles, or white truffles in their short season, on top of freshly made pasta. The gnocchi with shrimp and truffle cream sauce is the best gnocchi dish I've ever had. 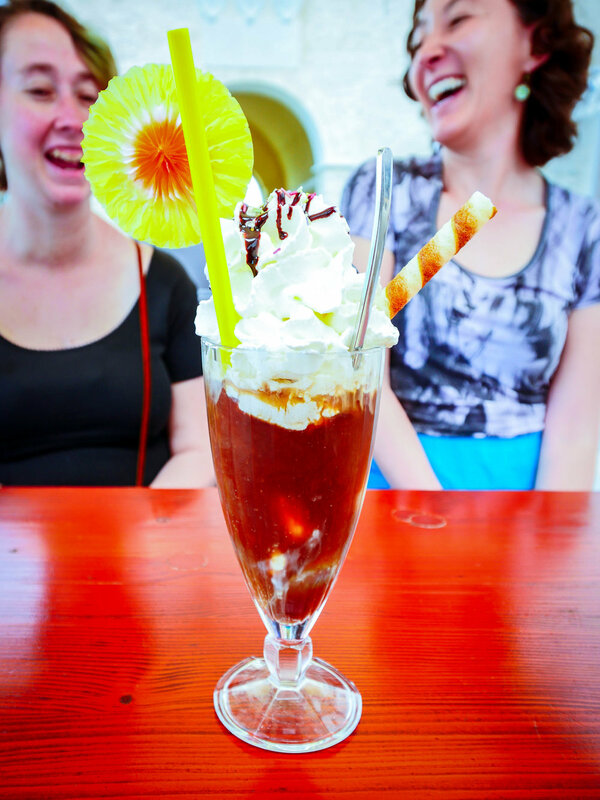 Unlike many restaurants in Croatia, Mondo Konoba is vegetarian-friendly. Oh yeah, and it was featured on Anthony Bourdain's No Reservation episode of Croatia. As you drive through Croatia you will see sign after sign advertising whole roast pigs. 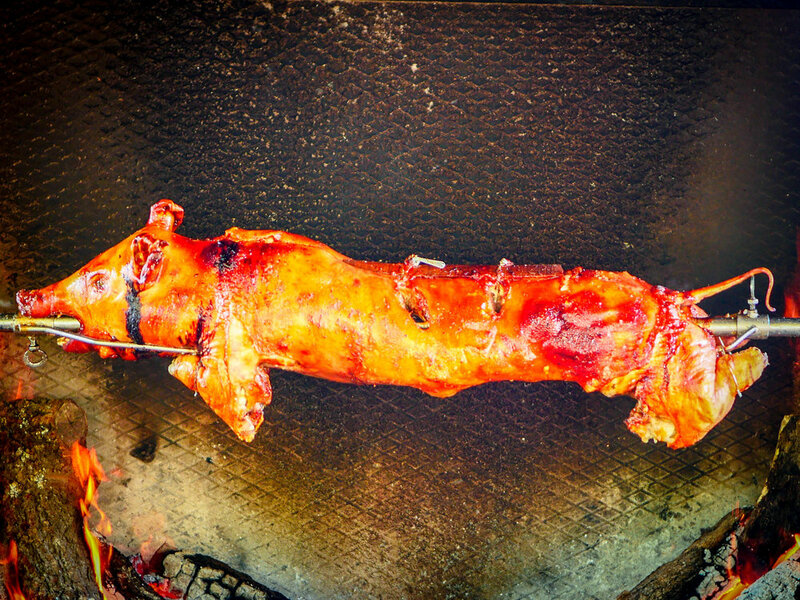 Most of the time you need to order ahead but luck brought us a whole roast pig on a spit at the roadside konoba "Kontija." A konoba is essentially a space to entertain and feed guests indoors or outdoors; you can think of it as a tavern. Kontija serves a wide range of roast meat and seafood dishes but it's the whole roast pig that is the star of the show. The pig is flavorful and tender, accompanied by potatoes and rice. Nestled in the vineyards below the village of Motovun is Guest House Valentino. The guest house can sleep up to eight people and every room comes with its own bathroom and shower. It comes with a kitchen and living room downstairs and a pool outside. The host provided two bottles of wine from their vineyard and a tray of freshly baked coconut cakes. This is the perfect place to stay with a large group of friends.